I had to think about whether I wanted to post tacos two days in a row on here, but decided, “What the heck?” Tacos are delicious and specialty tacos are even more delicious! It also just occurred to me it is the second day in a row of fruit salsa. If you read yesterday’s post about the mango salsa, then you definitely know I love fruit salsa! It is a great combination with a faint touch of sweet, hint of zest, and just all-around yummyness. The original blogger of these tacos from Gimme Some Oven titled them “Christmas Tacos” because they kind of look like Christmas! 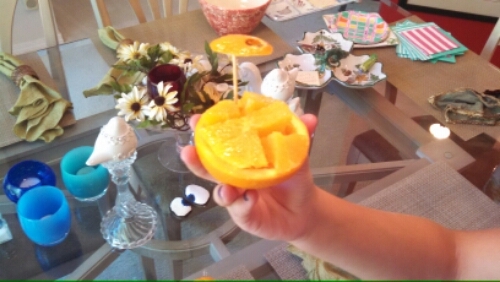 She also made them as little “taco boats” too, which would make a great appetizer! I think that counts as a different recipe, therefore I could sort of make this again and it would NOT be the same dish twice. The flavours came together so well – with the sweet tartness of the salsa, the protein-filled chicken, the punch that feta cheese packs (oh – I couldn’t find cojita cheese, so I subbed feta instead, which was also a great choice). It just works. I would love to put this salsa on everything! The only thing stopping me is that pomegranates take some time and effort to seed! Even all the easy “hack” ways are still a bit time consuming – but so worth it! -Cook and shred the chicken (I just baked it for about 30 minutes at 350 degrees). 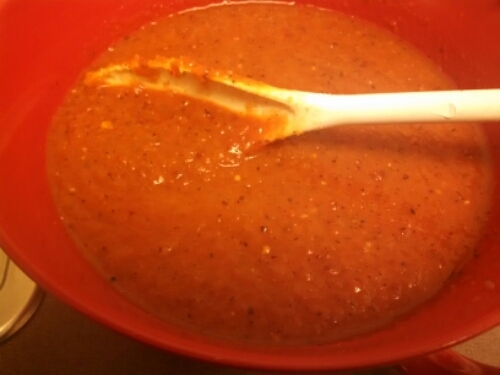 -While the chicken is cooking, prepare the salsa by mixing all the ingredients together, then season with salt and pepper. -To assemble the tortillas, add a layer of chicken, a few spoonfuls of the salsa, and top with cheese. Add your additional garnishes, then roll up and enjoy! Happy December 1st! It has been so cold all weekend and today is no different – a whopping 25 degrees outside! I know some of you on the east coast or in the midwest may be laughing at me right now…I remember living in and travelling through the “Tri-Ota” region (MN, ND, and SD), this would be a heat wave. In any case, cold is cold, amiright? 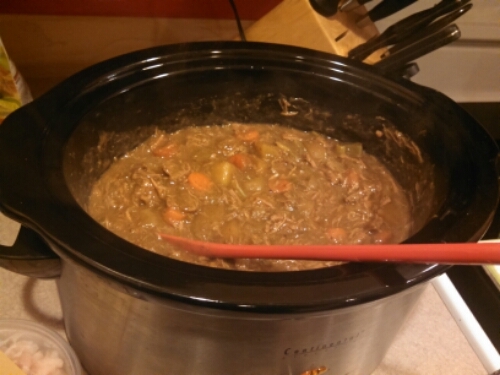 Because of this, it is the PERFECT time to make beef stew! What is better than coming home to a delicious-smelling house and then pouring a bowl of delicious-tasting stew? 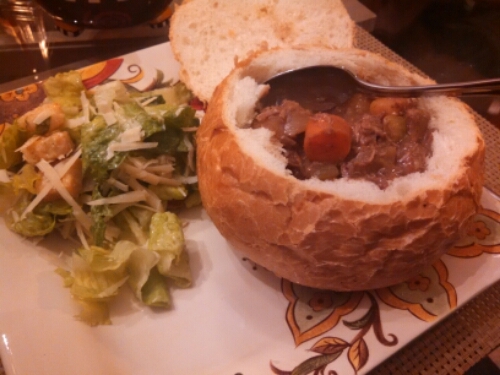 This slow cooker apple cider beef stew recipe from Baked By Rachel packs quite a punch. 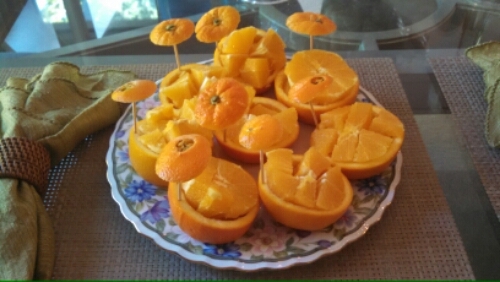 I actually made it a little while ago, on Halloween, for dinner for my husband, my mom, and my in-laws. Everyone loved it, it served the 5 of us, plus about 2 containers of leftovers! Now, this recipe definitely has a “holiday twist” to it, and it’s not the apple cider. In fact, I couldn’t even taste the apple cider, to be honest. 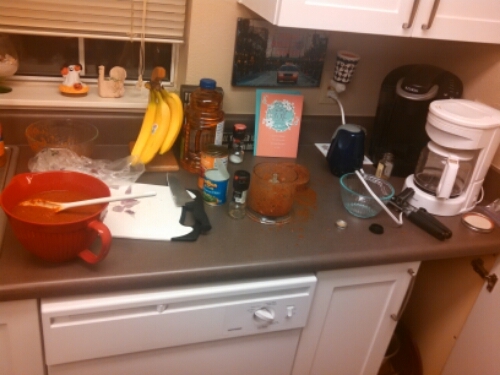 But the cinnamon was verrrrry prevalent, which was fine for all of us, except my mother (who tends to make “comments” on most dishes I make, haha). My mother taste-tested the stew before we ate, and she informed me that she does not like cinnamon, unless it’s on things like oatmeal, but should not be in a stew. Thanks mom. 😉 Because of that, I upped some of the other ingredients and added a bit more salt and pepper, and then let the flavour blend in the crock for another 20 or so minutes. By the time we sat down to eat, the cinnamon flavour died down quite a bit. If you’re among picky eaters, this may not be the recipe for you (or just use less cinnamon), but if you love traditional favourites, food adventures, and cinnamon, then I highly recommend you make this dish ASAP! Especially while the weather is chilly! 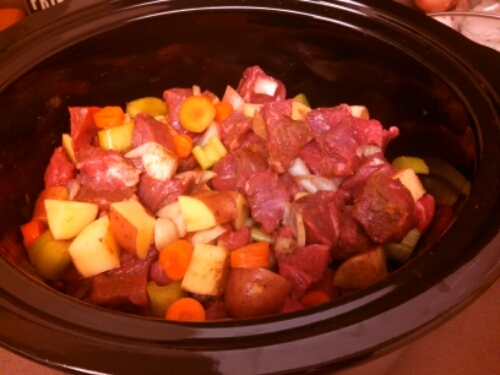 -Add vegetables and then the meat to the slow cooker. -Sprinkle with salt, pepper, thyme, cinnamon, and cumin. -Cover and cook on low for 8-9 hours. -In the last few minutes, remove 1cu of liquid, whisk flour (a spoonful at a time up to 1/4cu), then return it to the crock and stir to combine (this will help to thicken the stew). –Let it continue to cook for a few more minutes before serving. Happy Cinco de Mayo! In honour of the holiday in which many Americans (and Canadians) make an abundance of Mexican food and consume an abundance of Mexican-inspired cocktails, I decided to share with you a fish taco recipe I made several weeks ago – good timing! The pictures do not make this dish look desirable at all, for which I apologize. If you’d like to see TASTY pictures of this recipe, I recommend checking out Mel’s Kitchen Cafe, the original blogger’s website for these skillet cilantro and lime fish tacos. I took several other pictures, trying to make them look good, but I failed. In any case, these were indeed delicious! My husband said they were better than the tilapia fish tacos I made last year. Whether you make these tonight, or another tasty dish, I hope everyone has a happy and safe Cinco de Mayo! 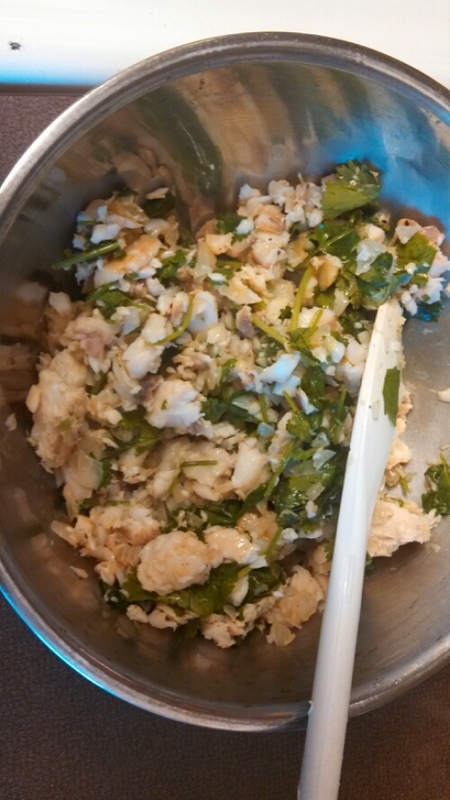 -Then add the fish and cook over medium-high heat for about 5 minutes, gently breaking up the fish into bite-sized clumps, until the fish is cooked through and the liquid in the skillet is somewhat reduced (it should be fairly wet but not really soupy). Season to taste with salt and pepper. Stir in the cilantro. -If using corn, heat the tortillas in a dry skillet for a few minutes on each side to warm or sandwich 3-4 tortillas in between damp paper towels and microwave for 30-45 seconds until pliable. 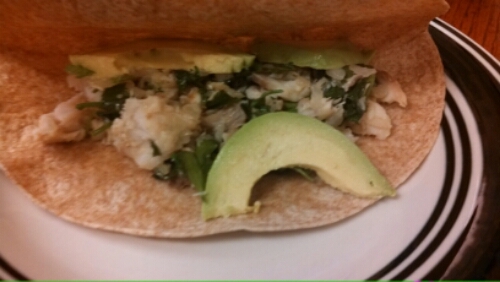 -Scoop the fish mixture into the corn tortillas and top with the avocado and more cilantro! My husband and I are moving into our new apartment on Tuesday!! I cannot wait!! 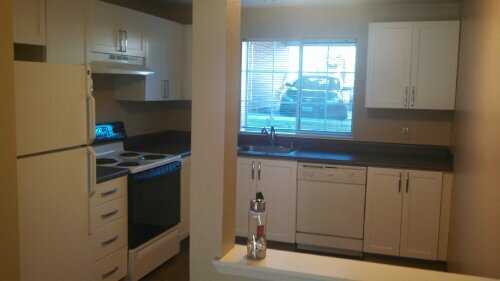 It is a beautiful little two bedroom, one bathroom unit, and is within walking distance of my mom’s house! This morning, I went on the walk-through with my mom (as my husband was working), and honestly, the first thing I thought was where in the kitchen will I put my keurig?? I am also excited to decorate and set up the kitchen and then start COOKING! Speaking of cooking, I have one more belated recipe from Thanksgiving, skillet apple stuffing, courtesy of Real Simple magazine. I added sausage, because sausage in stuffing is amazing, of course. 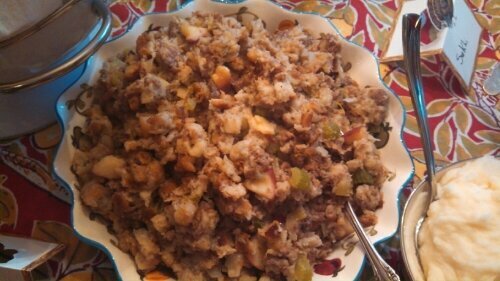 😉 Everyone thought it was “so weird” to put apple in stuffing, but it’s so much less weird than other things, like raisins or craisins, or whatever other gross things people put in stuffing. 😉 Also, instead of using fresh baguettes, my mom purchased stuffing bread mix from the store, to make things a bit easier. It worked super well, also! I know it makes more sense to post Thanksgiving recipes before Thanksgiving, but, well…I have no excuse. You can make this ANY time of year, though, or bookmark/pin it for next Thanksgiving! Everyone gobbled it up (despite the “so weird” comments), and I got so much praise on it! 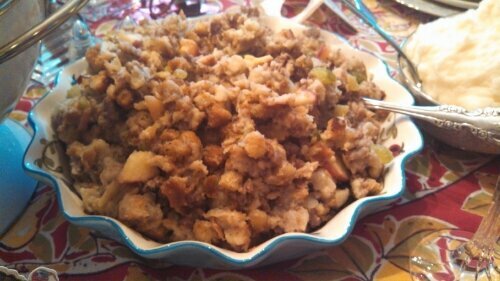 This was the first time I had made stuffing before, and my mom was the one who gave me the recipe to use, and I highly, highly recommend it! 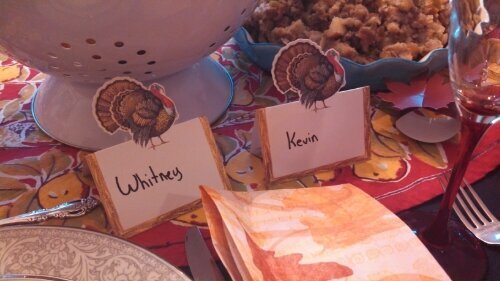 Also, my niece made place-cards for everyone. It was too sweet not to snap a picture!! -2 baguettes (about 1lb), cut into 1-inch pieces (about 16cu) –> or bagged stuffing mix! -Heat oven to 325° F. Spread the bread in a single layer on 2 rimmed baking sheets. Bake, tossing once, until dry, 20 to 25 minutes; remove and let cool (only do this if you’re using the fresh baguettes, but if you’re using a bagged mix, SKIP THIS). -Then increase oven temperature to 425° F.
-Meanwhile, melt the butter in a large cast-iron or other ovenproof skillet over medium heat. Add the onion, celery, thyme, ½ teaspoon salt, and ¼ teaspoon pepper. Cook, stirring occasionally, until the vegetables are tender, 15 to 20 minutes. -Cook the ground sausage during this time, in the same skillet. -Let cool slightly. Combine the broth and eggs in a medium bowl. -Add the bread and apple to the skillet. Add 3 cups of the broth mixture and toss until the liquid is absorbed. Add up to 1 more cup of the broth mixture to the stuffing as needed. (The stuffing should feel moist but not soggy, and there should be no standing liquid in the bottom of the pan –> I did NOT need to add more liquid, just FYI). -Cover with foil. Bake on the top rack until heated through, 25 to 30 minutes. Uncover and bake until golden brown, 10 to 15 minutes more. **Note: it’s easy to plan this around dinner-time, since your oven will probably also be full of turkey. It was able to fit on the top rack, squeezed in next to the turkey pan. I did all of the necessary chopping ahead of time, then dumped everything into the skillet, cooked for 20mins, then put in the oven. I started the skillet-then-baking process about one hour before dinnertime, so that it was ready at the same time as the turkey, without any stress! **Another note: we do not have a cast-iron or oven-safe skillet, so we just transferred from the skillet into a baking dish for the final part, and that worked just fine. You can adapt it however you need to, for your own kitchen and materials! 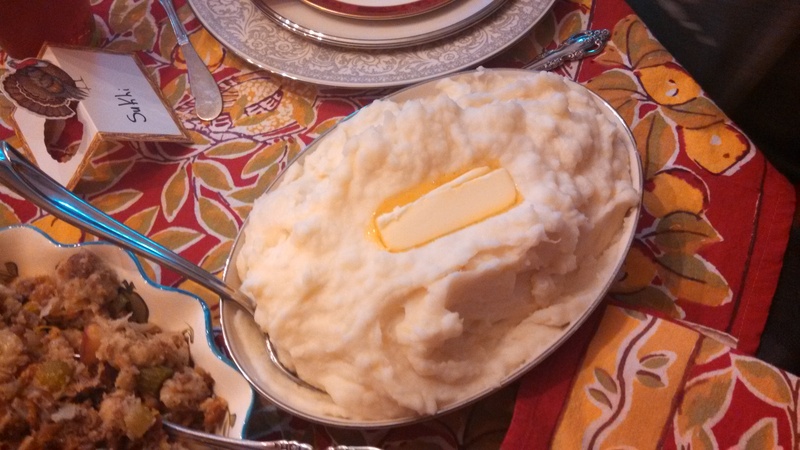 For T-day, I wanted to have a really simple, traditional, creamy mashed potato recipe. I have made fancier potatoes in the past, and I know those recipes are out there, and are super-tasty, but for this holiday, you need something tried-and-true…and also kid-friendly! We had 11 people for dinner (but 13 total) and it was a fun and family-filled time (cheesy, I know). 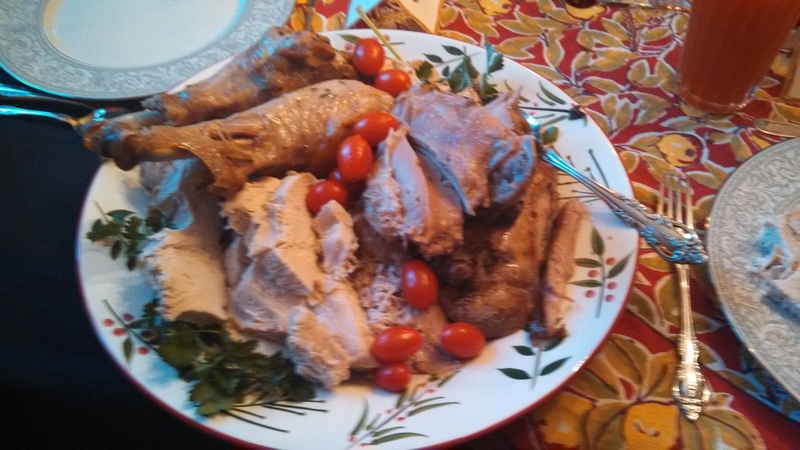 Above is the picture of my mama’s turkey – she plated it so well! I changed several things about this mashed potatoes recipe, from The Stay at Home Chef, which seems difficult to do, since there are so few ingredients as it is! But I used about 4.5-5 cups of broth, and subbed water for the rest, since I didn’t have enough broth. And since we had some picky eaters in the crowd, I used regular milk, mixed with cream (like coffee creamer). Also, in case you’re wondering, that is NOT, in fact, an entire stick of butter on the top of the potatoes. My mom had a block of butter, not the normal sticks, so it was long, but very thin. Just thought I would put that out there. -Bring the chicken broth to a boil in a large pot over high heat. -Meanwhile, cut the peeled potatoes into 1 inch cubes or chunks (you can do larger pieces, of course, but they cook faster if you cut into smaller pieces). Place the potatoes chunks into the boiling chicken broth and boil until tender, about 15 minutes. -Strain the potatoes from the broth and put the cooked potatoes into a large mixing bowl. -Add in the butter, cream cheese, buttermilk, and salt. Use a hand mixer to whip the potatoes and other ingredients until light, fluffy, and creamy (3-5 minutes). **I just used a potato masher, and it still turned out great!